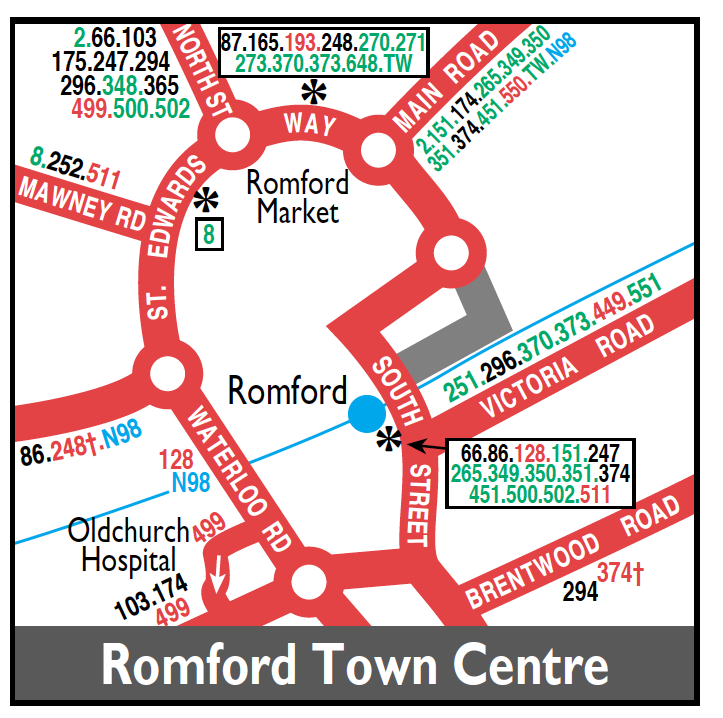 NEW ROUTE replacing Route 129 between Romford and Becontree Heath. 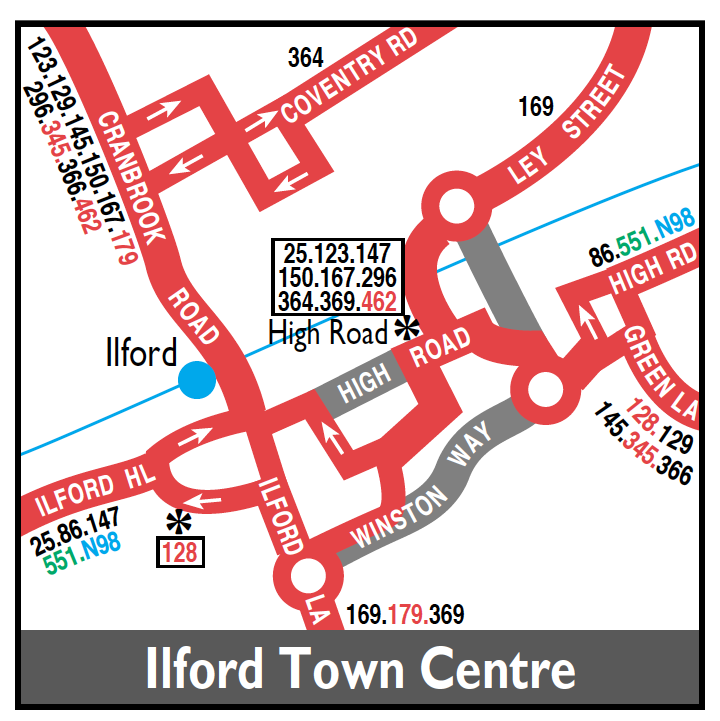 Extended from Ilford to Claybury Broadway via withdrawn 129. 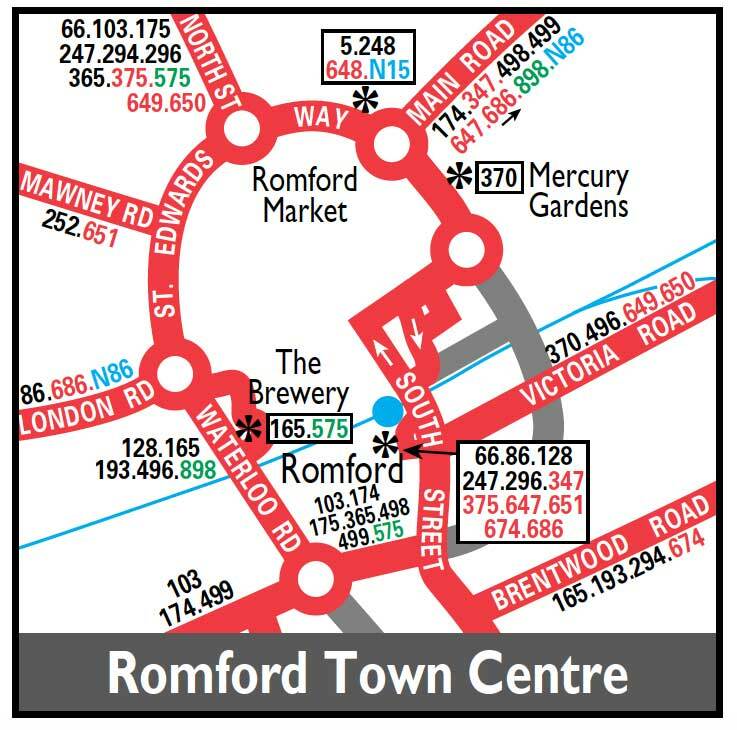 Notes: After 2130 every night - buses are rerouted via South Street (southbound) - Victoria Road and a further section of Mercury Gardens instead of South Street (northbound) and Western Road.